Daresbury Village Fete, 30th June. 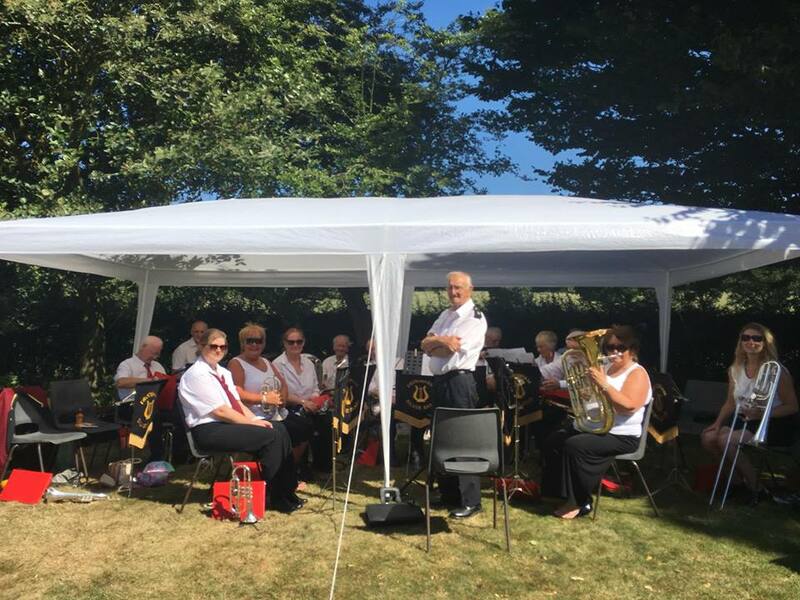 On 30th June the band played at the Daresbury Village Fete in the beautiful setting of the Vicarage garden. A perfect Summer afternoon was enjoyed by all. 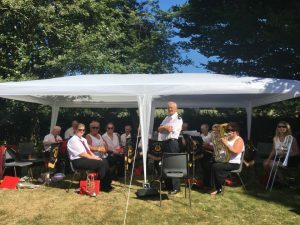 The scorching temperature meant for an informal approach to uniform, but didn’t wilt the The music was complimented by beer, a barbeque, tea, cakes, traditional games and oodles of sunshine. Families came to enjoy the show and stayed to listen to the music. This is definitely one of our favourite venues. We hope to be back next year.